With this shop window sticker, tell your customers that you are participating in Black Friday! 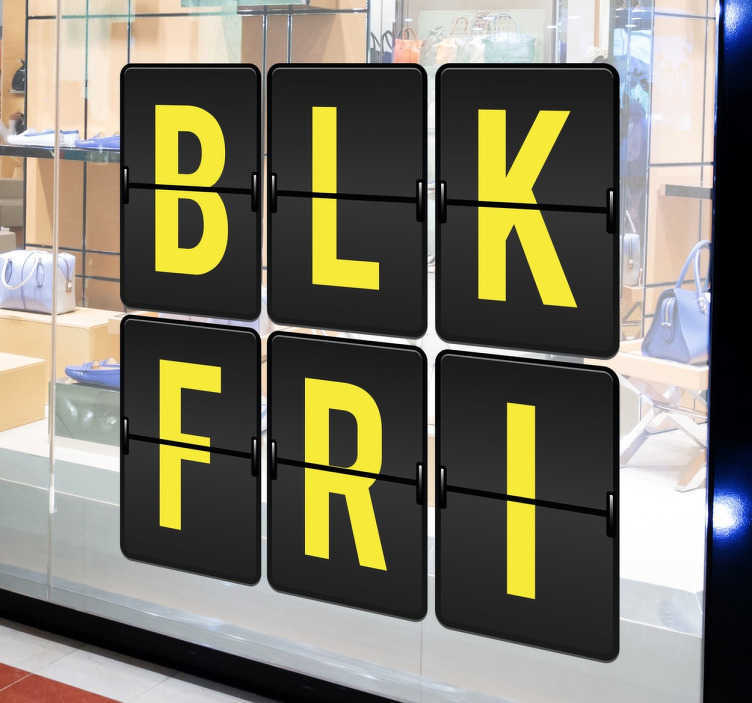 The window sticker consists of the letters ‘BLK-FRI’, short for Black Friday. The sticker consists of a yellow font with a black background. The sticker gives your shop a modern look, so you will be guaranteed to catch your customer’s eyes and leave the competition behind! The sticker can be attached to your shop window or a smooth wall and is available in various sizes and colours. For a small extra charge, we make alterations to the vinyl sticker so that it can be placed on the inside of the shop window. For the production of our wall stickers, we use high-quality, odourless vinyl which is easy to apply and can be removed completely.